Polymer-tipped to slice through the air! Transform your favorite rifled-barrel slug gun into a rifle to rival some centerfire rifles. You can expect sub-2" groups at 100 yds. and one of the flattest trajectories on the market! 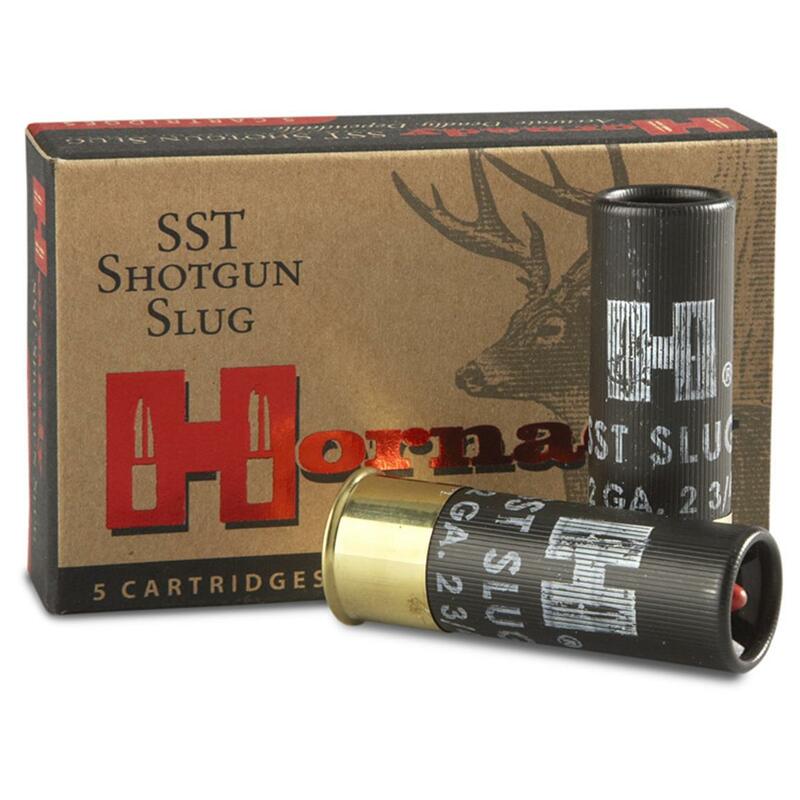 Hornady SST Slug, 12 Gauge, 2 3/4 , FTX, 300 Grain, 50 Rounds is rated 5.0 out of 5 by 18. Rated 5 out of 5 by Lawrence from Great slug Very accurate and very lethal - no cripples with this round. Rated 5 out of 5 by CaptainMike from As always, great deal for the price. Rated 5 out of 5 by DeerPark from Fantastic Rifled Slug I have used a lot of different slugs over the years. 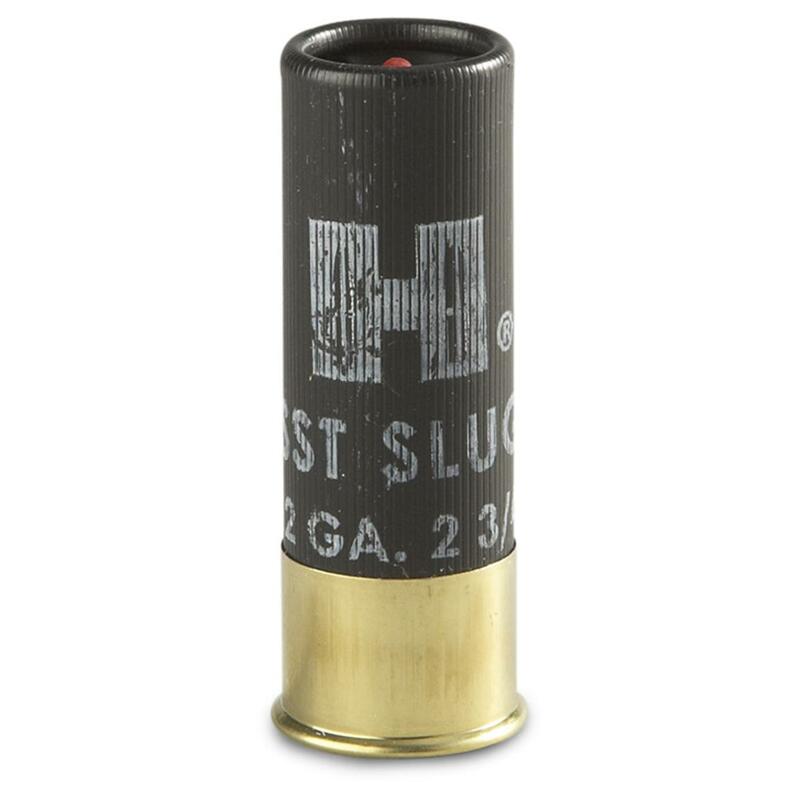 However the Hornady SST slug is fantastic. I shot a deer this 2016 season, and when the slug hit the deer, the deer flew sideways through the air. Dead right there. Wow, I don't think one can ask for more knock down power than that. Remember this is for fully rifled barrels only. Rated 5 out of 5 by Horsacourse from Awesome load! I've been shooting slugs for decades, and these are the ones I've settled into for the last couple of years. They are awesome! Deadly accurate, and highly devastating. I shot three deer with them last year, with devastating results. Since these are sabots, resulting in a lighter and better formed bullet, the trajectory is better, and the faster FPS provide a good 'shock' for knockdown power. The most surprising kill last year was a deer that received what I thought was less-than-perfect shot because the buck had stepped partially behind some leaves when I shot. Normally, where the shot hit, the deer should have been able to run another 100 yards at least, and certainly not die right away. Regardless, this load somehow managed to drop the deer in its tracks! I was completely surprised when I saw where the bullet hit. I'm guessing the high shock and quick energy transfer simply did the job. This is a highly recommended load! Rated 5 out of 5 by farmboy from Great Price - Fast Delivery I have used these slugs for a few years now and found them to be very accurate at longer ranges with excellent take down power. They hold a very tight group when shooting at 100 yard targets. 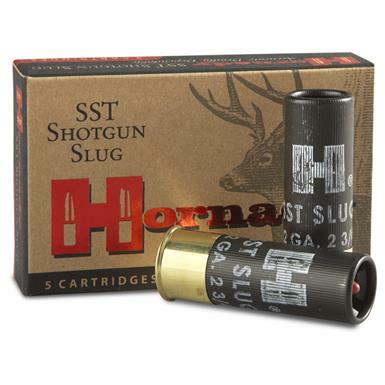 Rated 5 out of 5 by LANCE from 50rd 12ga Sst Slug. The order was filled and shipped quickly and accurately. I have not tested these yet, but I expect good things from Hornady. Lethal takedown power out to 200+ yards! Loads for America's favorite guns.